Some other FAQ’s that I would put on a FAQ page: Why Haiti? What is your connection to this orphanage? Why Davinsly? I have a very dear friend named Sara. Sara is a special education resource coordinator with St. Paul Public Schools. Scott and I have been friends with Sara and her sweet hubby, Bob, for over 15 years. They had started going to Woodbury Community Church around the same time as Scott and me. We became fast friends. Back then, we joined a small group with them that lasted until just recently. We have “done life” together with them all these years. Sara and I (along w/another pal) co-lead our Sr. High Girls small group, and Scott and Bob head up the Refugee Life Ministry that WCC does alongside World Relief. Sara is a friend I choose to: travel with (Europe, Boston, Chicago, just to name a few), celebrate birthdays, go on retreats, play in the snow, mentor our daughter, call when I need to be talked off the ledge, meet for happy hour, be in a Bible study or book club, see a movie, play games, and just “be” with. So…back to the connection to the orphanage. Sara’s sister, Lori, and her hubby Scott, have adopted 2 sweet boys from the same place. Eli and JP. They also have 2 daughters. 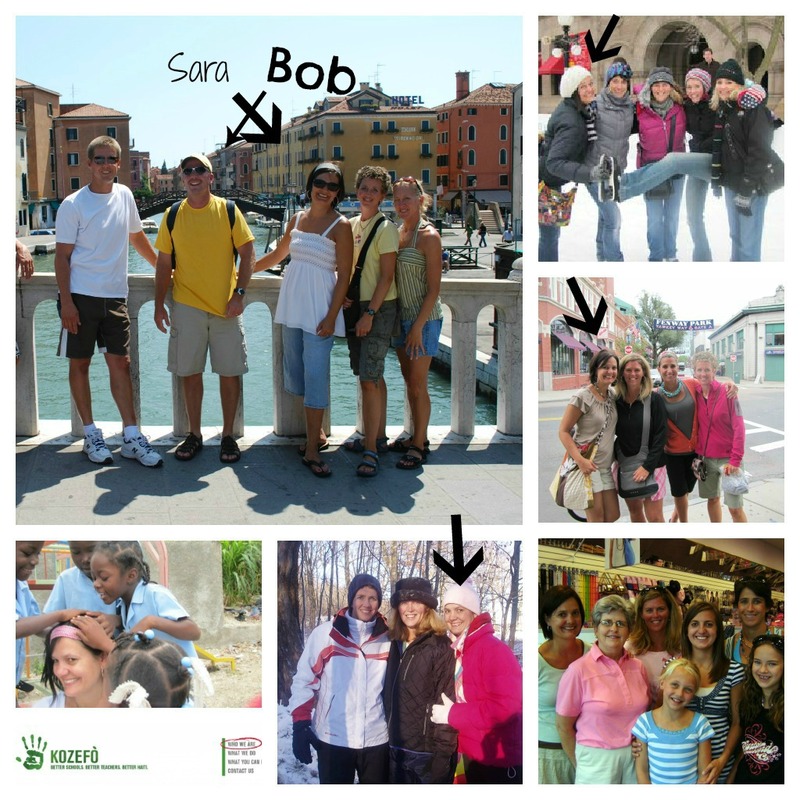 Sara was and is so inspired by her sister’s journey that she felt a passion and desire to also do “something” there, in Haiti. She has been to Haiti and the orphanage 3 times in the past year and a half. The first time, she and her daughter, Breelynn (a college junior majoring in Social Work and working part time for World Wide Village), immersed themselves in Haitian culture for almost a month! They stayed at the orphanage and taught English lessons to the kids that came there for school. Doors (God) kept opening for her to have more opportunities…she helped start (and develop their website) a non-profit called Partners in Education which then became Kozefo. She remains active on its board of directors. In August, she held the first annual Kozefo 5K. 130 people participated and over $5000 was raised! She, also, has made connections with people helping other organizations that do great work in Haiti like: The Apparent Project, Healing Haiti, and World Wide Village. It has been incredibly inspiring to watch all that Sara has done for the people in her sphere of influence in Haiti. This past summer she spent a week at the school/orphanage leading teacher training workshops to introduce the concept of Reader’s Workshop to their system (well, they really have no system-Sara is trying to change that). She brought down 230 books- in French- for early readers that could be used in their classrooms…once the teachers understood how to utilize them! Sara actively lives out her faith and desires to make the world a better place. She could easily go home from work each day and settle knowing that she has a huge ministry to the inner city kids and families that she works with all day long, all week long… yet, she doesn’t. She walks the walk and lives life intentionally. She encourages me in my faith and inspires me to be a better person. That’s our connection to the orphanage… will have to save the part about Davinsly for next time 🙂 stay tuned.